As the director of U of T’s Global Cities Institute, Patricia McCarney is no stranger to invitations to speak at conferences. But the email asking her to give a talk at a recent sustainability forum in London was different from most such requests because of the sender – His Royal Highness The Prince of Wales. In addition to the Prince’s invitation to speak at the forum, McCarney was invited to sit on the international advisory board for Measure What Matters as one of a select group of leaders from international agencies, global corporations and think tanks. “It was a great honour,” McCarney told U of T News. The 17 Sustainable Development Goals were adopted at a meeting of world leaders last fall and came into force on January 1 of this year. The Measure What Matters forum was organized by the Prince’s Accounting for Sustainability organization and other groups to inspire action towards actually meeting the goals. 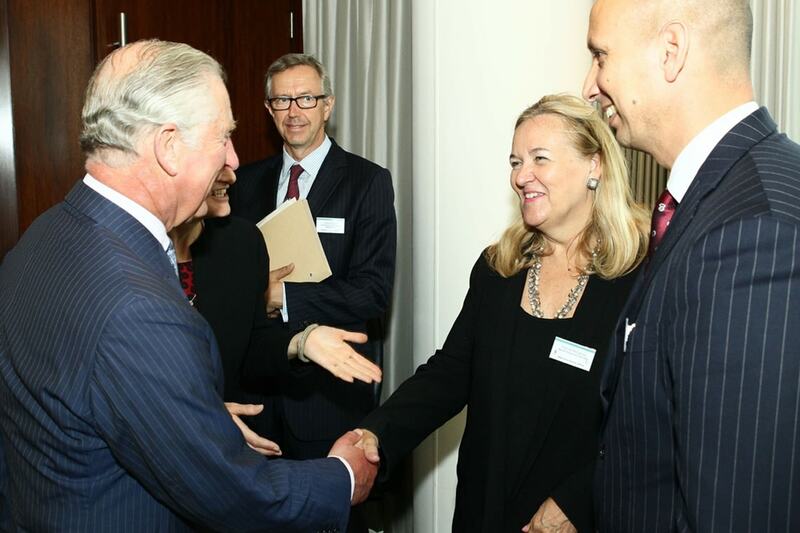 Prince Charles invited McCarney to Measure What Matters because of her research on sustainability and cities. In particular, the Global Cities Institute and its sister organization, the World Council on City Data, has developed tools and ISO globally standardized indicators to measure progress towards urban sustainability. McCarney said the participants in the forum were very receptive to her message about the need to involve cities. For example, the delegate from the national statistics ministry from the Netherlands said his government was very interested in tracking urban data as it strove to meet the 17 SDGs. It’s not only the Prince of Wales who is interested in sustainable urbanism, she said. There is growing awareness generally of the important role of cities for the global environment.